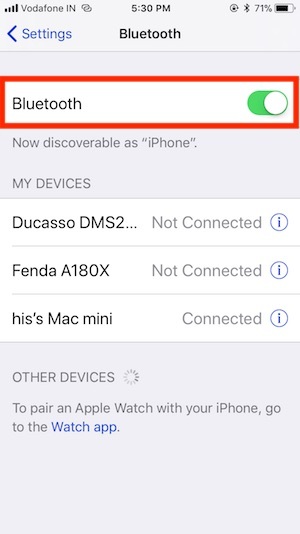 Bluetooth Not Working on iOS 12 on iPhone after the update and other Bluetooth issues, While we are trying to connect with Bluetooth accessories or other Apple devices. For different use like AirPlay (Apple TV), Handoff (Mac, Apple Watch) or AirDrop (Mac), AirPods, CarPlay (Maps, Phone Calls, Messages, Music, app and more), Bluetooth Keyboard (Magic Keyboard, Apple Wireless Keyboard, and Other Third-Party Bluetooth Keyboard). 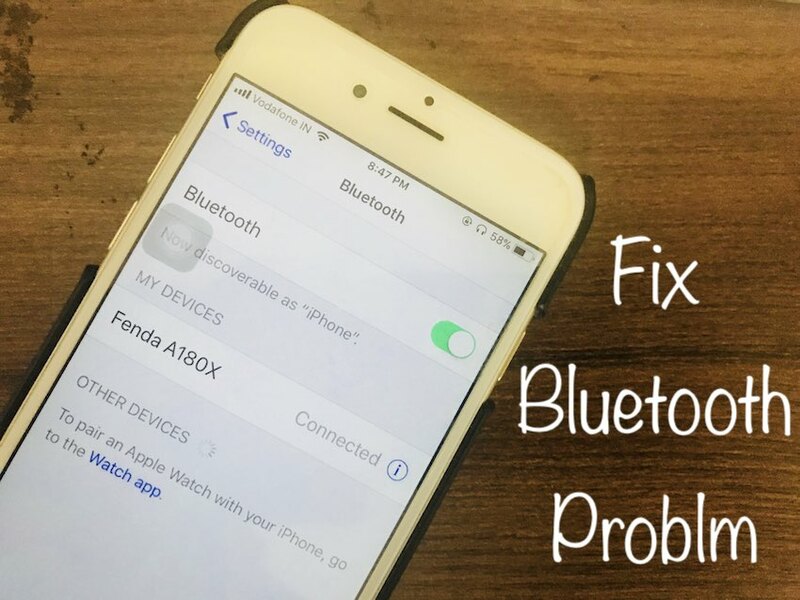 Find common mistakes and relative fix for Bluetooth Not Working in iOS 12/iOS 11. In most of the cases, bluetooth will fix very quickly using the troubleshooting steps given at here. Read it carefully and get fixed Bluetooth in iOS 11 or iOS 12 after an update. Also, Quickly Turn off or Turn on Bluetooth from the control center on iPhone. On Compatible iPhone models: iPhone XS, iPhone XS Max, iPhone XR, iPhone X, iPhone 8/8 Plus, iPhone 7, 7 Plus, iPhone 6/6S, iPhone 6/6 Plus, iPhone 5s. Bluetooth Shortcut control on Control Center network card looks like a buggy. So we do it from Settings app like, Control Center network Card is an excellent shortcut for turn on Bluetooth [But I Experienced that not turn on Bluetooth really]. 2: Next, Tap on Bluetooth and Disable/Enable Bluetooth toggle on a single tap. Now, Bluetooth we can also turn on from lock screen or home screen control center but some of the times bluetooth not turn on correctly. So do it manually from settings app. 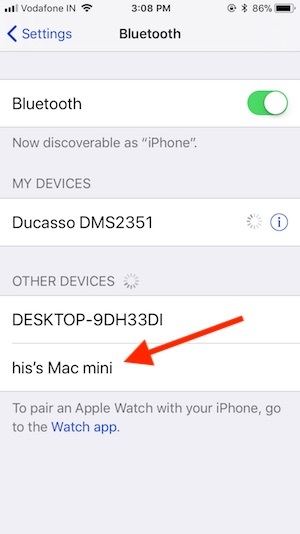 Once we turned on Bluetooth on iOS device, Your iPhone, iPad or iPod automatically scan the device and list of the name in just below under the Devices section. 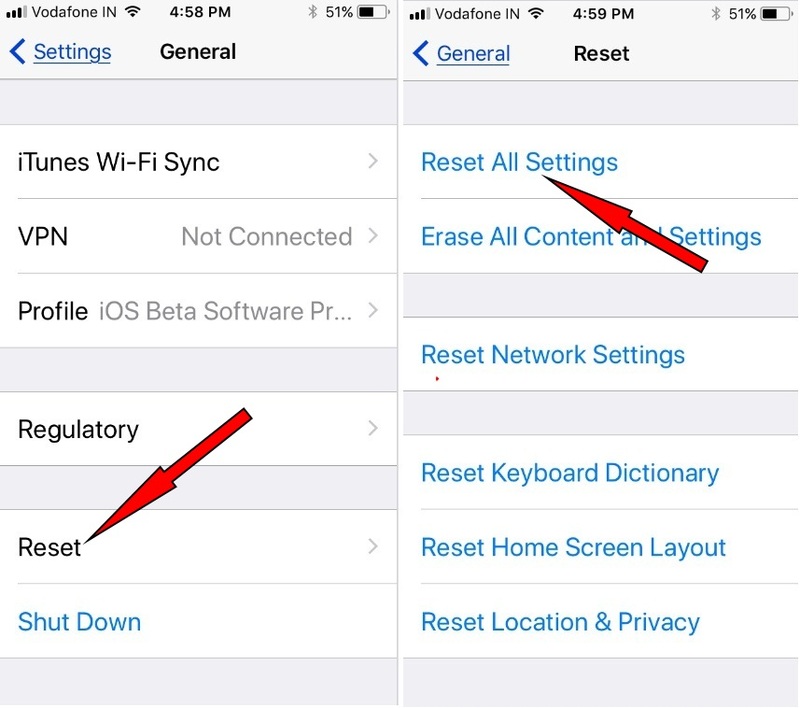 Re-start will help to fix the problem, Once reboot the iOS device and try to connect or pair a bluetooth device with iPhone, iPad or iPod touch. Sometimes you will get your bluetooth settings screen stuck or unresponsive. To Restart: iPhone 5s, iPhone 6/6 Plus, iPhone 7/7 Plus: Press and Hold Sleep/Wake button until you see the slide to power off option on the screen. The iPhone 6S or Earlier users: Press Sleep/Wake + Home button until you see the apple logo on the screen. The iPhone 7/7 Plus users: Press Sleep/Wake + Volume down button At least 10 seconds. Make sure bluetooth is correctly working on bluetooth accessories or other systems for that we want to connect it. Also check Bluetooth is turned on Accessories (Headphone, Speaker) or Apple Devices (Apple TV, Mac, Apple Watch and CarPlay). I recommend to disable or enable bluetooth on the third-party device. Bluetooth Accessories already connected to Other iOS device or System. 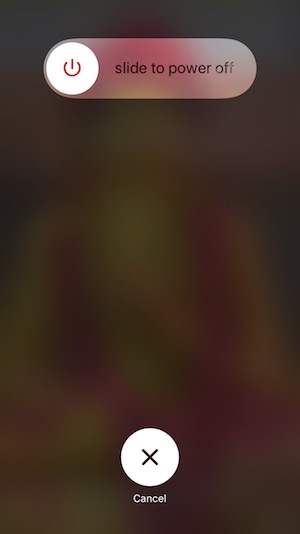 Some auto pairing bluetooth gadgets do this under the particular area. Check for new iOS update is available, Apple test and improve all connectivity problems regularly. From experience, iOS users getting fix bluetooth problem after an upgrade. Past iOS 11 version has a big bug on Bluetooth, While wi turn on from the control center network card, Bluetooth does not start. [After that fix in iOS 11.0.1/ iOS 11.0.2/ iOS 11.0.3/ iOS 11.1/ iOS 11.1.1/ iOS 11.1.2/ iOS 11.2/ 11.2.1]. So Apple gives a new update after a month approx time interval. Go to the Settings app > General > Software Update. Bluetooth is connected but not working: Some smart speakers and sound system (JBL, Sony, Boss, Phillips and many other) also get a new software update, Please update it by help on official site or customer service. To reset Bluetooth connectivity between specific device then we can do. 2: Tap on Bluetooth, Enable Bluetooth toggle to see the list of devices history. 3: Now, Under My Devices list, Tap on the (i) icon near to device name. Disconnect: Tap Disconnect for release Bluetooth connection between them. Forget This Device: This option is removed device under bluetooth and Also other device details as well. Fix Bluetooth connection unsuccessful. To proper Bluetooth connection, both devices should be in range. 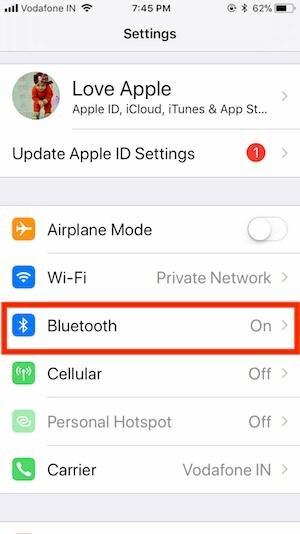 Keep your iPhone near to bluetooth accessories if you experience bluetooth auto disconnecting (Dropping) or interrupting setup or connection. Also, your iPhone bluetooth icon blinking on Top status Bar due to distance. Apple is recommending to keep your iOS device near about 30 feet. If you know of New iPhone model, Apple Added Bluetooth 4.0 So we could catch the device around up to 330 feet. Alternatively, we can use iPhone Bluetooth Extender. Erase all the connectivity detail entirely from your iOS device from Settings. This ideal solution for Bluetooth Setting won’t work or Grayed out. Under the General, > Scroll down to last and Tap on Reset. See, Reset all the Settings. 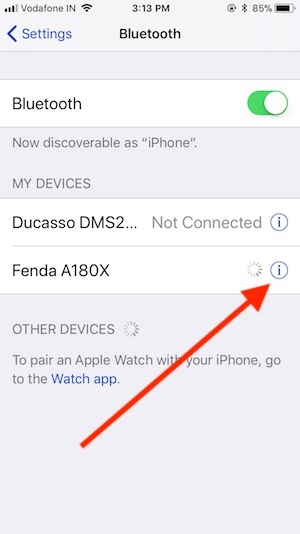 Restart iPhone and try to connect bluetooth. Bluetooth is not connecting automatically that means it already linked to other Device. 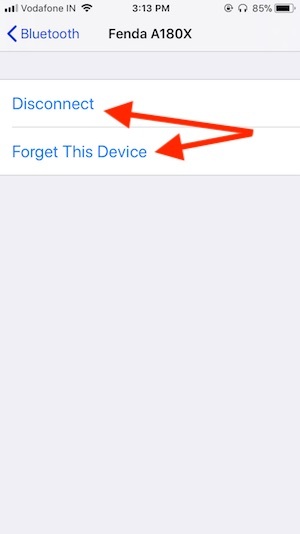 Or, You previously forgot device from your iOS settings manually. 2. Click on your Device (Upper-Left corner) > Summary > Configure Accessibility. Now, Uncheck Mono audio if activated > Click Ok to make changes. Otherwise, ignore this setting. Now you will get improved bass and sound quality back. 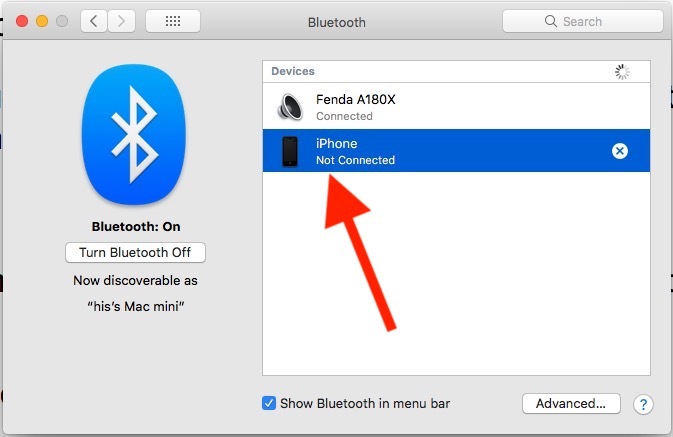 Turn on Bluetooth on your iPhone, Find Mac under Other Devices. Tap on Mac Name > Accept Bluetooth connection permission on Mac. Open System preference on Mac, Bluetooth > Open bluetooth preferences and See the list of bluetooth accessories. If your Mac Doesn’t see iOS devices in the list, then Restart your Mac and check again. Apple also seeds new AirPods firmware, but we nothing to do it will auto update. CarPlay: Limited car models have built-in CarPlay, Now check CarPlay Support Wireless connectivity or USB port. That support iOS functionality directly accesses on big CarPlay screen and extra control of your car. Like Music, Receive call, Text Message and more. We won’t connect Apple Watch Bluetooth, with iPhone because you need My Watch app and setup manually. Check Your iPhone warranty status and Get free replacement or repair from Apple. Check, your iPhone does under free 1-year warranty coverage. Bluetooth is consuming more Power over bluetooth; we are suggesting to keep Best iPhone power banks from your need. And Enjoy iPhone bluetooth battery drain. Find nearest apple store or Ask your problem to the genius bar about Bluetooth not working in iOS 11.